• Thank the person who nominated you and link back to their blog. • Answer the eleven questions set by the person who nominated you. • Nominate eleven other blogs and give them eleven questions to answer. 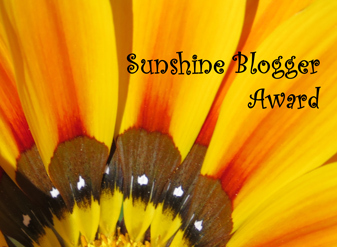 • List the rules and display the Sunshine Blogger Award logo in your post. 1. What is your favorite time of year/where? Every time of the year — everywhere! We dodge bad weather as nimbly as our RV can manage it, which means we’re almost always in some beautiful spot sitting in spring, summer, or fall. In January of 2016 we made a rare trip back into snow (for a very good reason). 2. What is your favorite type of tree? The Ponderosa Pine because I like sniffing it. Does it smell like vanilla or butterscotch? I’ve decided some are more vanilla while others prefer to emit butterscotch scents. 3. What is the farthest you have been from home? In our RV, we’re never far from home anymore. Once I made a business trip from Michigan to Mexico. 4. What is the best restaurant you have ever eaten at? We have a few favorites around the country, for different reasons…. this question is too hard to answer! But it reminds me… we will have our Annual Bob and Ellen Best Eats Awards coming soon! 5. If you had to recommend a book to a stranger, what would that be? I use a Canon Powershot SX50 HS — love it! Checked out the SX60 in a Camera store but didn’t like that it starts farther out for the zoom than this one. It’s a great size to carry hiking (which is why we rarely use our Olympus digital SLR), especially with the built-in zoom lens. Started it back in 2009 just before we hit the road full-timing. I’d had a blog for some consulting I was doing and wanted a place to put thoughts and impressions and images from the road. It’s great to have “met” so many great people this way! 8. What has been your biggest issue/mishap while traveling? Ikes! We’ve had our share to be sure. On our first RV trip in our fifth wheel our biggest slide-out broke. We ended up using boards to brace it while we limped back to our then sticks-and-bricks house so it could be repaired. We nearly gave up RVing right then and there. Of course, being a fiction writer at heart, these incidents found their way into various short stories and novels. 10. What is the most beautiful place you’ve ever been? Every place is beautiful — you just have to know what to look for. 11. What is your favorite type of social media? Blogs. LinkedIn. I don’t do Facebook or Twitter or Instagram…. They take so much time and I’m already inside on gorgeous days too much with my writing. 1. Jack and Niki share their favorite sites and routes east of the Mississippi at Snowbird RV Travels. 2. 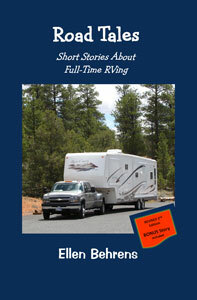 Julianne G. Crane has been blogging about fascinating RVers, places to visit and other items of note at RV Wheel Life. 3. The Wandering Dawgs, self-described “lifelong, diehard Georgia Bulldog fans” are fun to follow, whether you root for the Bulldogs or not. 4. Wendy and Joe gave us some insight into combining work and RV travel at American Gypsy Gibberish. 5. Kevin and Janet celebrated a year of full-time RVing this past June at Seize the Day RV Adventure. Congrats! 6. Ron and Karen also produce an excellent newsletter and blog appropriately titled, Join Us for A Trip Down the RV Highway. Can’t say enough about how supportive they’ve been to us! 7. We don’t travel much in New England anymore, but I still love reading the New England Nomad. 8. Crafts, Fishing, Retirement… who could ask for more? Follow Arlene and David in Our Retired Life. 9. Flyfishing artwork – amazing and beautiful paintings by Ben Miller. See them in the making at Dutch Rogue Cove. 10. Artist and writer Levonne Gaddy, has a blog I’ve been following since our early days of full-timing. 11. 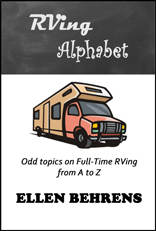 These Canadian RVers also review RV parks at their Voltage Express blog. 3. How do you spend your Thursday afternoons? 4. What’s your favorite food on the grill? 5. Did you end up becoming what you said you wanted to be when you grew up? 6. What’s been your closest encounter with a wild animal? 8. If you could have a superpower, what would it be and why? 9. Where have you not yet been but would like to visit? 10. What was the best present you ever received as a child? 11. If you could change one law in the country, what would it be? This entry was posted in Cool Experience, Interesting Stories, RV Parks & Lifestyle and tagged full-time RVing, RV lifestyle, Sunshine Blogger. Bookmark the permalink. 7 Responses to We’re Sunshine Bloggers! Thanks for responding! 🙂 We wondered about the “nominee” vs “winner”, too, haha. Love the rest of your answers also; they really highlight how wonderful the lifestyle is!! 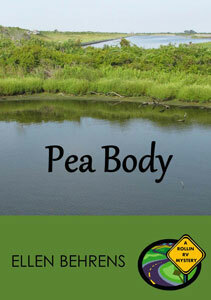 And we really enjoyed “Peabody” also! Looking forward to your foodie recommendations and checking out your favorite blogs! Happy trails!! Hey you two! 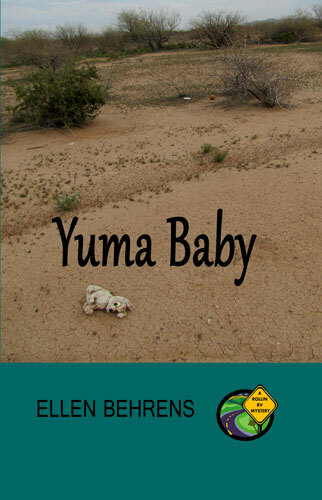 So glad you enjoyed “Pea Body” — “Yuma Baby” is getting some great feedback from others, so you might want to think about that one next … 😉 It was fun answering those questions, but a little frustrating, when we’ve found so many things to love in this country in the last near-decade! The annual “Best Eats” post will be coming soon — it will be interesting to find out if you’ve ever eaten at any of them. Thanks for the nomination! Just had my two year blogiversary and this is my first blogger award.I got to looking and I totally missed it. It was the 4th of this month. Sunshine definitely fits you when I think of bloggers who bring a smile, Janet!